With winter underway and colder days and nights being felt across the borough, Ealing Council’s gritting teams are ready to keep the roads open and traffic moving in the event of freezing conditions or a cold snap. The teams are on standby and will be sent out to grit primary routes across the borough to keep main roads moving whenever freezing conditions are forecast. Drivers are also being asked to take extra care. The council prioritises major roads and bus routes, width restrictions and steep inclines when freezing conditions are forecast. During snowy conditions the teams grit additional roads in important places such as major shopping centres, commuter routes and around emergency services. Ealing Council is one of the few local authorities in the country with a purpose-built storage barn for its grit. This means that sufficient grit can be stockpiled throughout the year to keep main roads and pathways clear. As much as 5,000 tonnes can be stored at any one time – the equivalent of 714 double decker buses. More than 1,000 tonnes of grit was spread on Ealing streets last winter. Every year the council works with Transport for London, the other London boroughs, the City of London and emergency services to put plans in place in the event of severe winter weather. The council is also asking residents to be good neighbours if the cold weather continues by checking that elderly or vulnerable people in their area are safe, warm and have essential supplies. Read more about keeping warm and well in the winter. Residents who are concerned about keeping their homes warm can call Ealing Council’s Cold Weather Support in Ealing (COSIE) helpline to receive tips and information on how to keep their homes warm and their energy bills down. Additional support is also available for those who are struggling to pay their energy bills. Residents can call the COSIE Freephone number on 0800 083 2265 between Monday-Friday, from 9.30am until 5.30pm. Anyone who is concerned about someone sleeping rough during the cold weather – or at any other time – can report it using the national Streetlink website or by calling 0300 500 0914. The information will be sent to the local St Mungo’s outreach service, which is contracted by the council to contact and help rough sleepers (people who are sleeping outside such as in doorways, disused vehicles or stairwells). Please give as much information as possible about the location at which the person is sleeping. 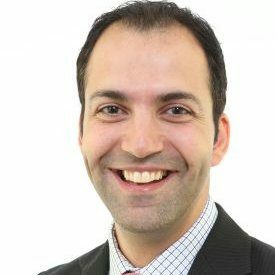 Councillor Bassam Mahfouz, Ealing Council’s cabinet member for transport environment and leisure said: “Winter is well and truly underway and the council is ready and prepared for colder weather. Our gritting teams have already been at work gritting primary routes, roads and paths to ensure everyone keeps moving during freezing conditions. Londoners and visitors to the city are reminded to check before they travel during any severe cold weather period, and to allow extra journey time where necessary. Passengers can check before travelling by visiting Transport for London’s website or following @TfLTravelAlerts, @TfLTrafficNews and @TfLBusAlerts on Twitter.